This is part of our OrthoCarolina Living Room Series where we feature local groups using the space. Stay tuned to learn about another group that used the OrthoCarolina Living Room on our blog next week. Amanda Zullo’s past few months have been serendipitous. Well, not completely. She’s incredibly driven and talented. Luck didn’t get her $5,000 in seed funding from Emerging City Champions sponsored by the Knight Foundation and 8 80 Cities. Did you know that more than 70,000 individuals in Mecklenburg Count live in food deserts? If you don’t know what a food desert is, it’s a geographic region where residents don’t have easy access to affordable, healthy food options. 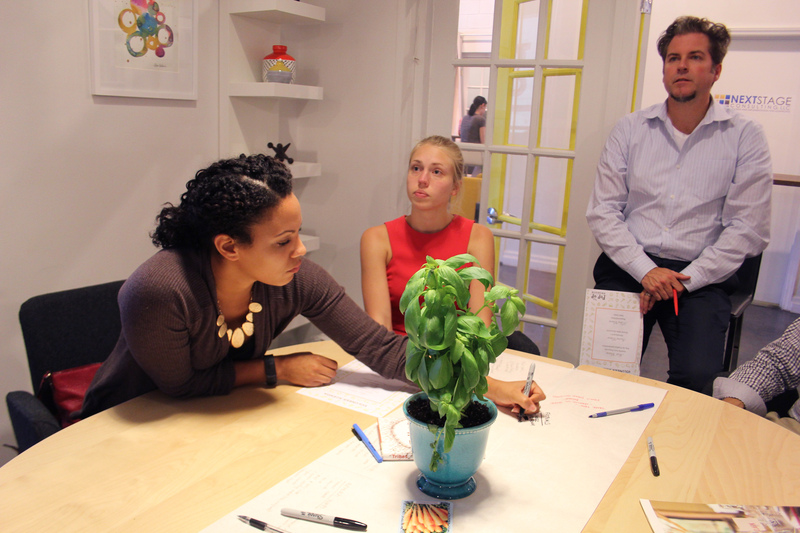 Amanda’s brainchild, Pop Up Produce, wants to solve that. It educates families and individuals on the benefits of fresh produce through its Fresh Start kits that make it easy to grow your own food. Pop Up Produce just launched its site today, so head on over to purchase a kit. For each kit purchased, a kit will be donated to someone who attends a Title 1 urban school or who lives in a food desert. Happy Fri-yay! Here’s a sneak peek at the #conceptrendering for our #FreshStart kits! Again, just a concept but enough to show you where we’re heading. The supplies have been ordered – some have arrived and some are in transit. But wow, how exciting to see this concept come to life! Very happy. Very grateful. Amanda used the OrthoCarolina Living Room for Pop Up Produce’s first meeting. She had around 30 people come for the volunteer orientation. Luck would have it that Amanda’s first contact with the OrthoCarolina Living Room came before her volunteer orientation. She was introduced to the space through the Branding Your Business SkillPop class, where luck would have it again, she met her now-graphic designer. 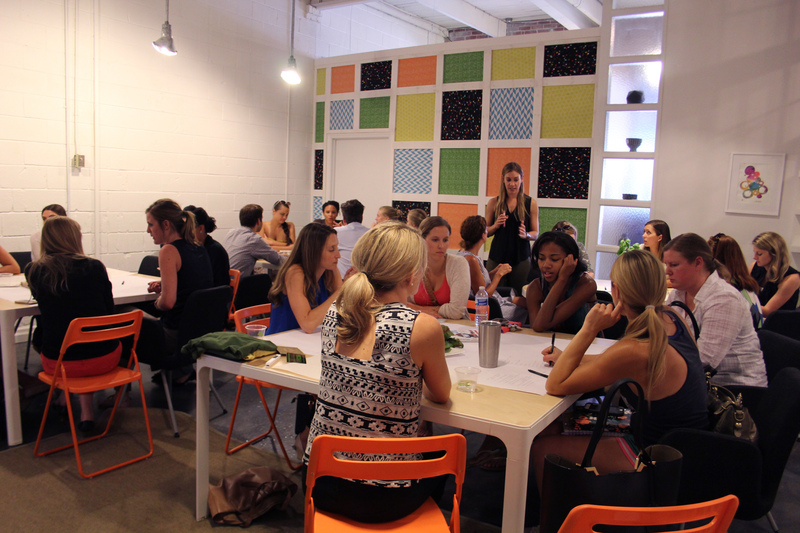 #tbt to last week’s @skillpopclt “Branding Your Business” workshop. Serendipity came at the most opportune moment; minutes before the class, @halfopenbook sent Pop Up Produce her portfolio. She loved the idea of Pop Up Produce and wanted to be the graphic designer for the project. Luck would have it, she, sitting at the table behind me, overheard myself discussing the good fortune bestowed by the @knightfdn and @880citiesorg by winning the grant and making bold change happen for #clt. The most perfect timing! I had not even had the chance to look over her work, but I loved her vibe, energy, passion and personality! Welcome to the team, Celi! So grateful to have you be part of this wonderful initiative. Also, thank you @aabennet for teaching the workshop! It’s a never-ending web. SkillPop, OrthoCarolina and Hygge—bringing people together. Now that’s a tag line. Pop Up Produce utilized the space to its fullest potential. Amanda set it up like a garden themed party and each table had an herb or produce of some sort hinting at what would be in the Fresh Start kits. Each table had paper with a different category (marketing and branding, community outreach, etc.). 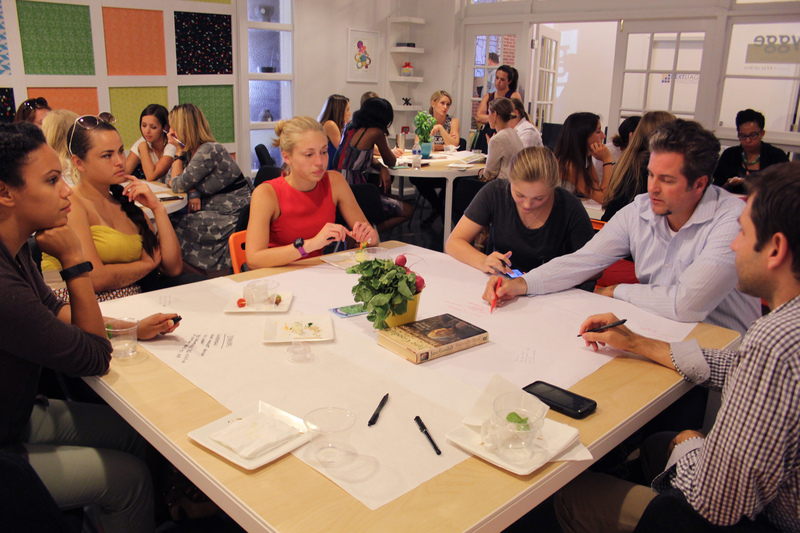 There, volunteers wrote down their ideas for how Pop Up Produce could tackle that category. The groups rotated through all the tables and brainstormed at each. Amanda and her mom made fresh food—it looked delicious. I saw it in person and can attest. 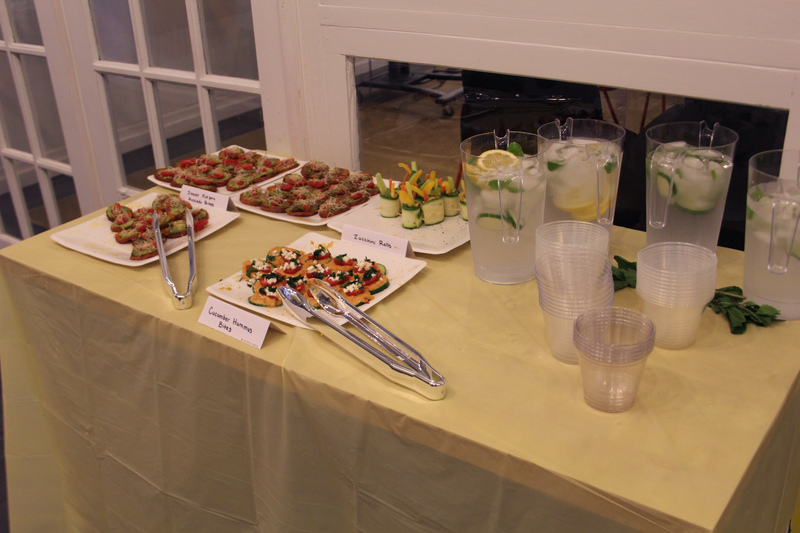 One thing to note, they used the space in the hallway for the food setup. Yes, they booked the OrthoCarolina Living Room, but we’re flexible! Are you salivating yet? 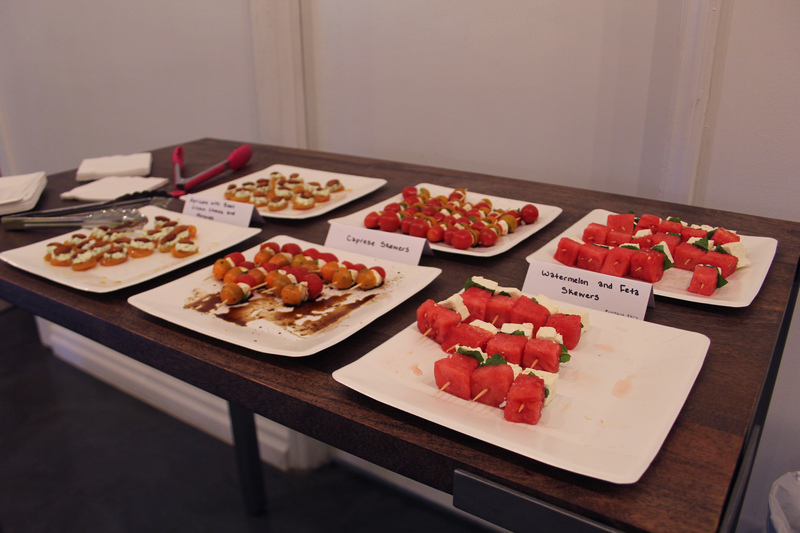 Those watermelon and feta skewers need to get in my mouth yesterday. Amanda has a background in urban design, real estate development and architecture. She started ruminating on the idea of Pop Up Produce back in March before applying for the Emerging City Champions grant shortly after. Amanda is passionate about sustainable living and fostering healthy communities, so Pop Up Produce was a logical fit. 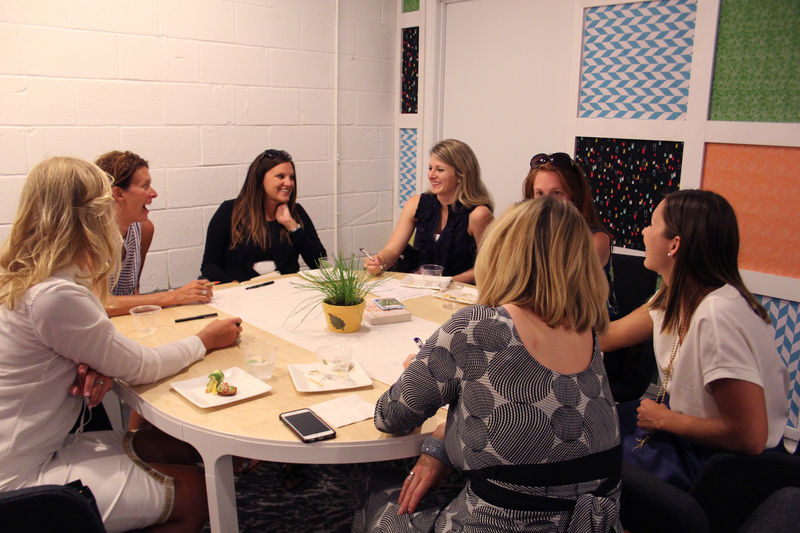 In June she went to Toronto with the other Emerging City Champions fellows, including Hygge resident, Kia. To learn more about Pop Up Produce and its upcoming events, click here. 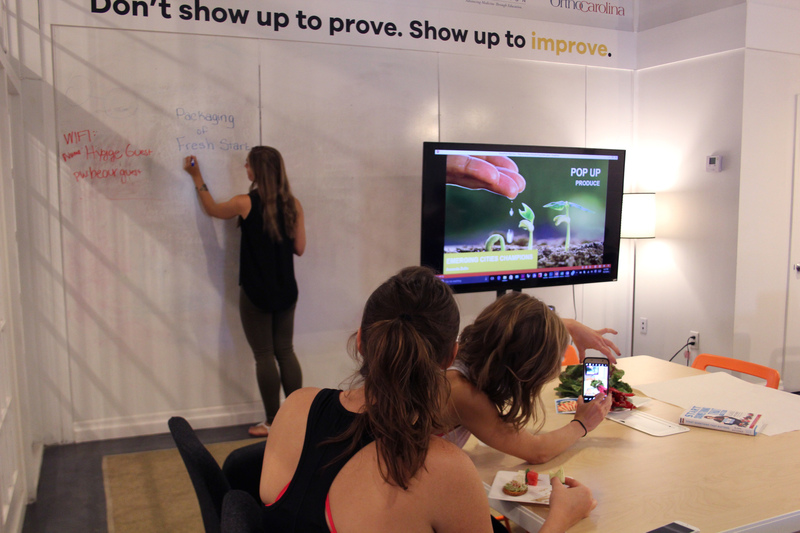 Are you doing awesome things in the community, but don’t have a spot for your next meeting? Contact us about using the OrthoCarolina Living Room. Snakes, Salamanders and Alligators! Oh My! TWIN Power!